11/30/15 Demo! is my first demo pack containing 4 demo levels that will appear on my upcoming debut chapter. 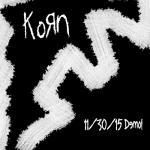 It was created on 11/30/15 around 1:00 am to 7:00 am, making it the reference to the title of the demo pack. It was like a revenge on .SlipKnoT.22 'cause he refused to teach me how to make a chapter. Now, I am independent. The levels that are published already are marked *. You DO NOT HAVE TO delete them before you will download this. If you have spotted any bugs or problems with this level pack, tell me. Challenge Levels 2 is the new version of Challenge Levels. Prove your skills by finishing 15 classes of challenge. Brainstorm yourself to solve your way. Read signposts to see goal and ocd. Challenge Levels is my very first addin since I joined GooFans. There are 10 levels to fullfill challenges throughout the game. - They can be seen in Chapter 1. I didn't make this for fun. I made this because I needed to. Creatures in WOG is a remake or rip-off of Robot Head Destroyer Levels. Your objective is to stop the creatures from eating goo balls in different environments.